(Mid-April thru Nov 1. Prices start at 23 feet, includes tax). Slips will have a minimum boat length requirement of 18 feet. $800 additional per season to store a jet ski. 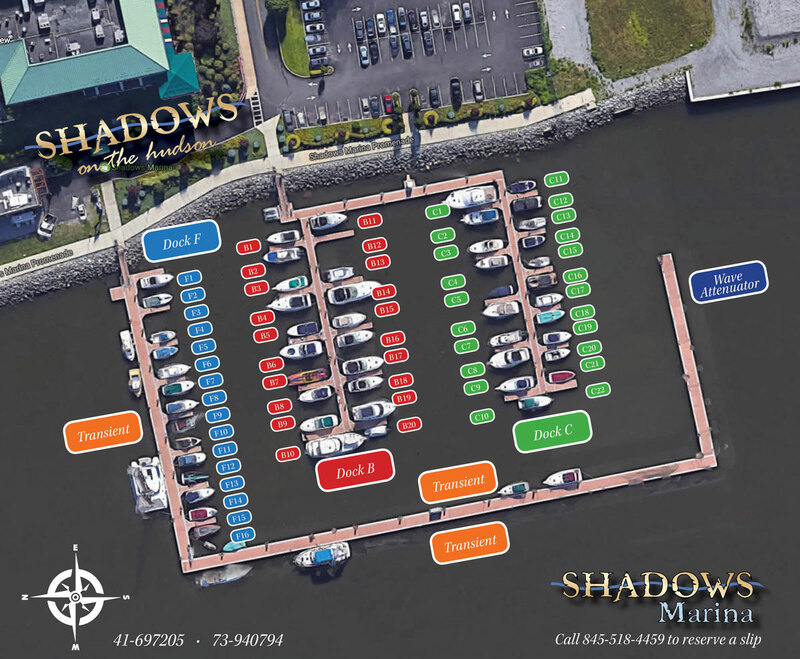 Check out the Shadow’s Marina layout.